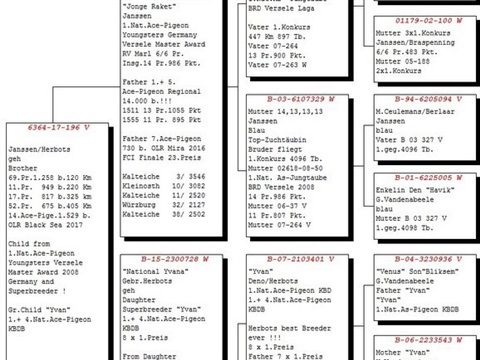 Grandson of “YVAN” (Herbots best breeder ever!). 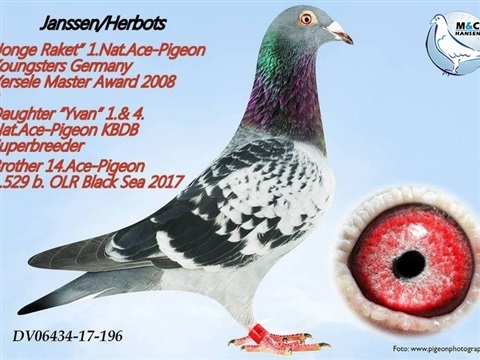 Father “JONGE RAKET” is 1st NAT ACE young bird in Germany versele master award!! 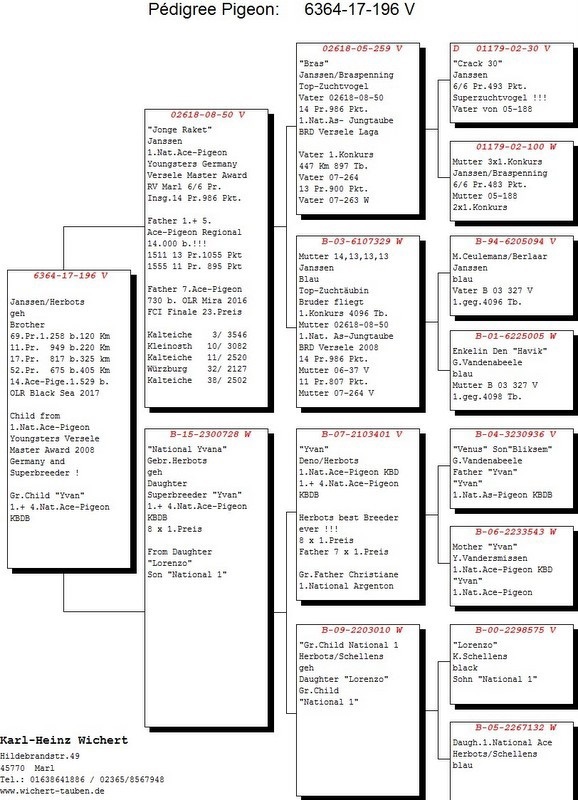 He is also father of 1st and 5th ACE bird Reg. 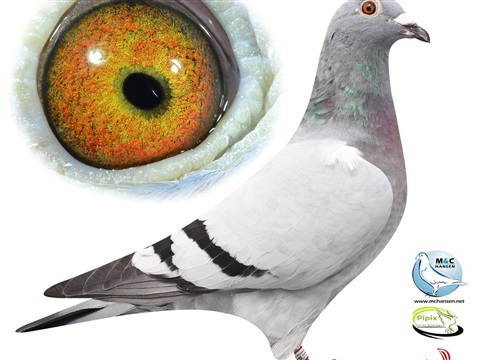 (14.000 pigeons) and 7th ACE bird OLR Mira 2016!! 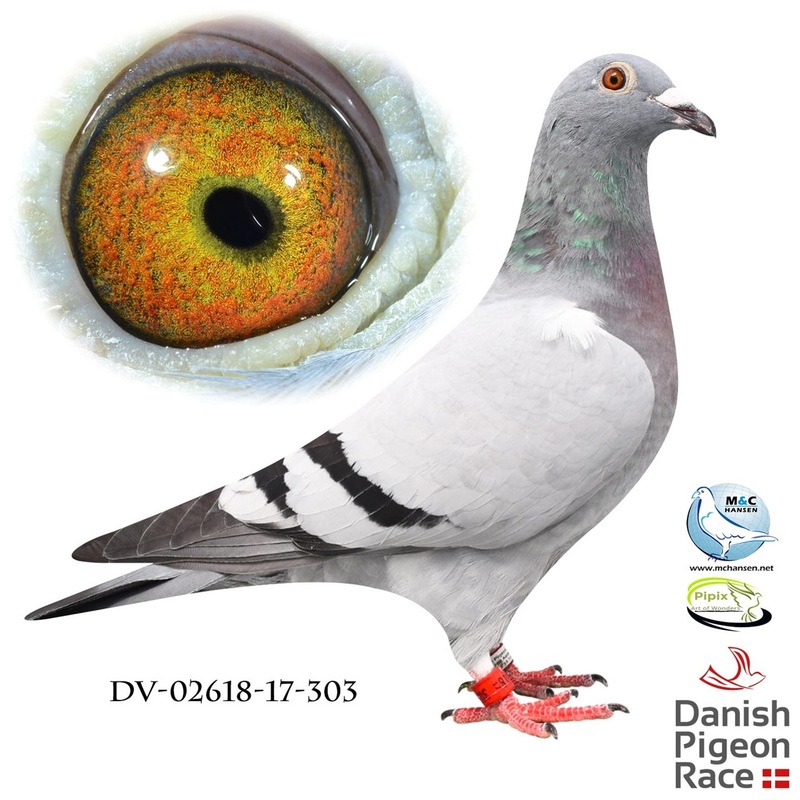 Direct Daughter of «Schleswig Turbo» who is 1 ACE bird and 1st prize final winner in Schleswig OLR 2015 (414km). 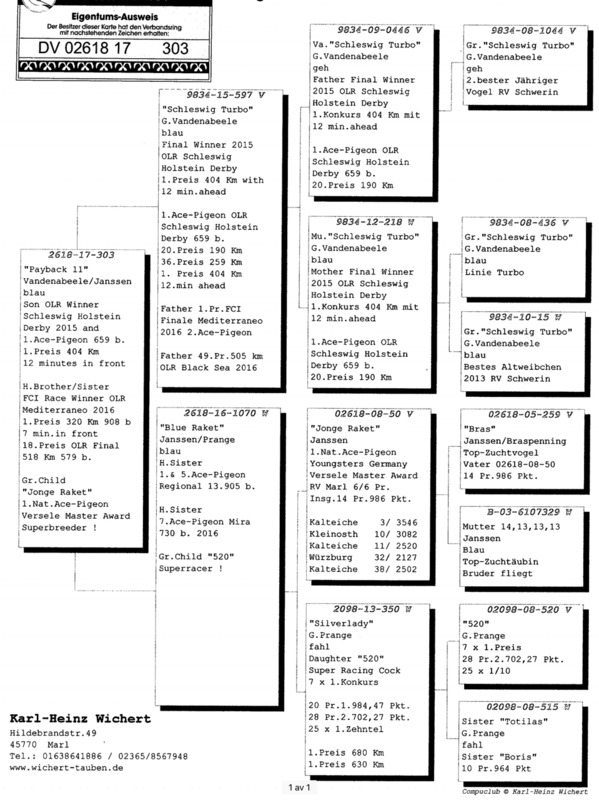 «Schleswig Turbo» is among one of the best OLR Breeders in the World. 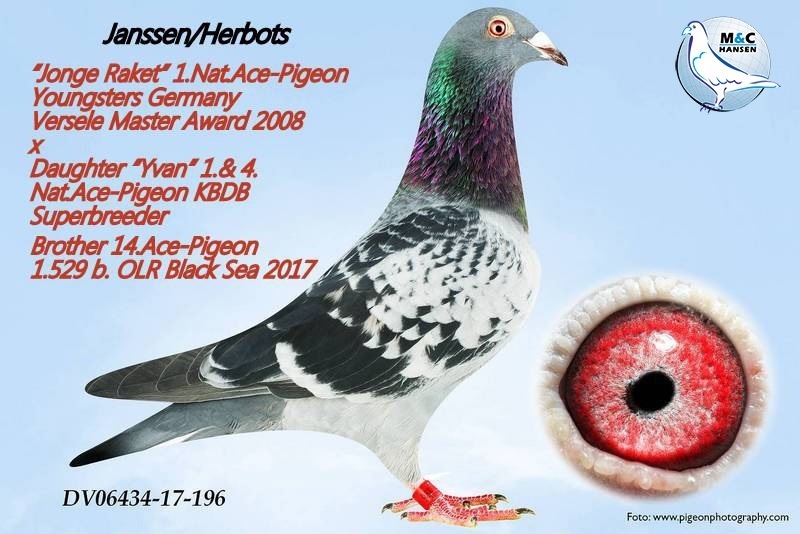 He is father of 1st World Champion Pigeon 2016, 1st prize FCI winner «Mediterraneo Dream», and 1st prize winner Gerona (320km). 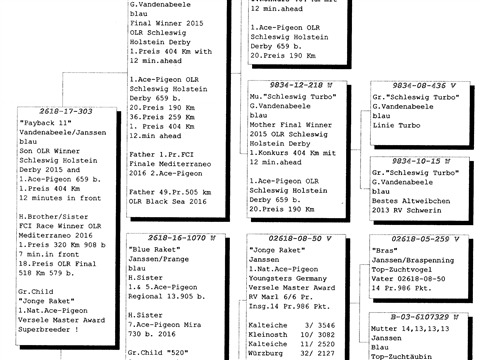 «Miss Schleswig» is also granddaughter «Jonge Raket» and 1st NAT ACE youngbird in Germany 2008. «Lady Schleswig» Is new at loft!